Smarter Farmers is an interactive essay by Farming Africa. Smarter Farmers is a journalistic innovation. It’s constructive as well as interactive. Digital media makes it easy to contribute arguments to a vision. Smarter Farmers makes it possible for everyone to make this contribution. Please leave your comments here and join Smarter Farmers. That’s the interactive part. The essay is also constructive. This means that it does not only point at issues in society, it is also focused on solutions. A constructive journalist investigates alternatives. This attitude was already set at the start of the weblog Farming Africa early 2014. The weblog resulted not only in this essay, but also in a foundation. Farming Africa believes that we can end hunger, that we can reach all 17 Sustainable Development Goals and that Africa can become the world’s breadbasket. 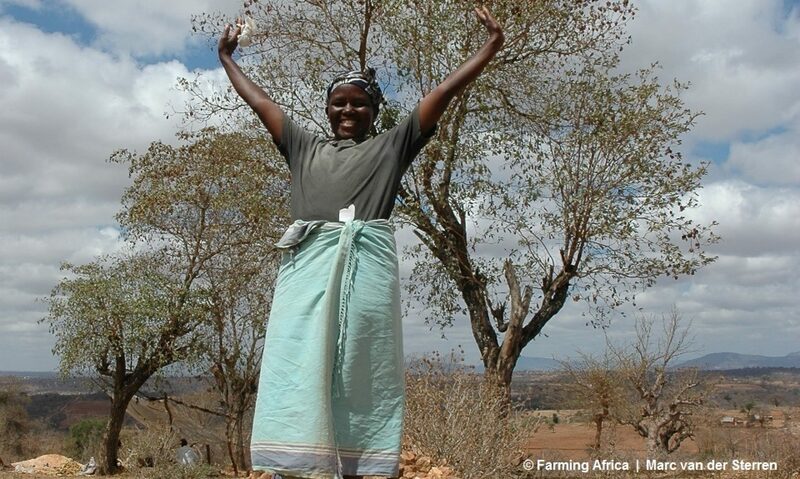 All that’s needed is to empowerment smallholder family farmers through providing them access to independent information. With this essay, we want to convince policy makers, the public opinion, politicians, educationists, and farmers and their organisations to focus on this solution. The Farming Africa Foundation works on this at grassroots level. 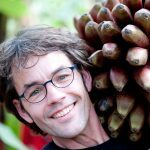 Since many years, the initiator, Marc van der Sterren, received many questions from African farmers, but also from fellow journalists. What all those questions have in common is the demand for independent information. Those questions lead to a list of projects to work on, all of them are in serious need of support. Financial support, but also expertise and time. The list covers media support for journalists and media houses, but mainly projects on farming level. Projects on demonstration farms, differing from starting a place for teaching, expanding a demonstration farm with new innovations or expanding a small farmers library. Also many different commercial farming initiatives are looking for support. For financial support, but mainly support in the form of knowledge. Every support in all those projects is welcome. So just send an email to info@farmingafrica.net if you have a suggestion or an idea. And please make a contribution and donate. Do it for the most important people in this world. And because this world needs SMARTER FARMERS. Farming Africa Media follows agricultural developments in Africa. You can follow us on the weblog FarmingAfrica.net, which publishes in Dutch as well as English. We are always looking for news, photos, film and stories. Other services we offer are articles in magazines, booklets like this and simple blog posts. Even advertising is possible. And please send us your new book to review. But Farming Africa Media is more. We can give a lecture or a talk about the topics in this book. And we have the possibility to promote your company or organization. With a simple ad on FarmingAfrica.net, but also by publishing press releases or brochures about your product or organization. The backgrounds and expertise of Farming Africa enables us to publish a variety of materials, such as white papers, opinions, interviews, reports, business plans or project proposals. For more information, contact media@farmingafrica.net. I am an agricultural journalist since 1998. I make critical and constructive Journalism. Critical journalism nowadays is far from obvious. In an ideal world, a journalist is always critical. But we don’t live in an ideal world. Therefore, the term critical journalism is no contradiction in terms. Journalism is a result of curiosity. A journalist immerses himself in a situation, which can lead to commitment. Objectivity is primarily a journalistic myth. A conscious journalist remains critical, but shifts his focus to constructive journalism. In my case this has this led to an initiative that goes beyond journalism. Inequality in the world, also between farmers and agricultural organizations, among farmers and between farmers and on the one side and their suppliers and the market on the other side has always fascinated me. During my literature studies, but also with experiencing my trips to Africa I discovered that it is unnecessary that 800 million people are still hungry. The majority of the undernourished people is a farmer. When they produce a bit more the problem will be solved. This vision directed my journalistic carrier in a constructive direction. A direction that started as a weblog and has become an independent foundation. It became a constructive project that goes beyond journalism only. This project is called Farming Africa. A weblog that resulted in a foundation and in this interactive, constructive essay.